Last year the Grass is Greener Festival set Northern Queensland alight with its sophomore event. The concept was a simple: an all-inclusive, all-ages event with a very strong focus on local talent, production and suppliers. Over 7000 punters flocked to the the Cairns Showgrounds to celebrate the home grown sounds of acts like Aria chart-topping sensations Peking Duk; What So Not, British India, Willow Beats and many more. After all, international tours seldom touch the shores of Cairns, and as a result, a genuine love for the homegrown music scene has flourished in that part of the country. It is with all this in mind that the Grass is Greener team is extremely excited to announce their 2018 return to the Cairns Showground with their biggest event yet! 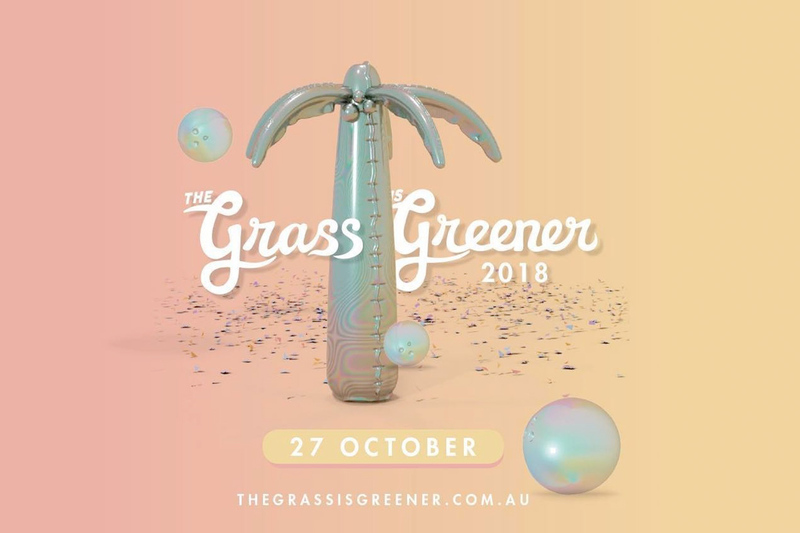 The Grass Is Greener 2018 lineup features one of the most appealing and musically diverse lineups to be seen this year in Australia. Headlining the event is Future Classic artist Hayden James, with more including electro-indie 3-piece SAFIA; bass and trap star Godlands; Sandstorm producer Darude; Sydney tech star Made in Paris; the pop beats of sister duo Kinder, and many more!